What Does a VibraCussor Do? 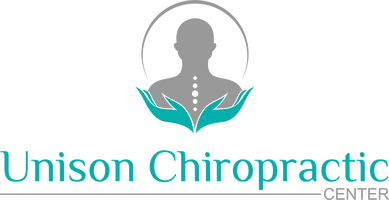 The VibraCussor is a vibration instrument that helps the muscles and fascia (the thick connective tissue surrounding your muscles and holding your organs firmly in place) around your vertebral subluxation to relax. It’s different from other massagers because it utilizes an up and down movement, much like pistons to create comfortable compression through the tissues. If you’ve had surgery or an injury, your fascia can get too tight, leaving you with fascial adhesions. These feel like knots under the skin and can constrict nerves and blood flow. It can lead to poor posture and imbalance in the body from the heart to your breathing. The VibraCussor is very effective in targeting the myofascial trigger points in the body, from your shoulders and joints to issues with TMJ. It’s also ideal for treating muscle fatigue and fascial adhesions. When we use this on our patients, we are able to easily release the tension from your nervous system, reduce your muscle spasms, and get the lymph and blood systems circulating properly again. Musculoskeletal pain is reduced with the VibraCussor, giving you a broader range of motion again and making it possible to stop taking pain management medications. If you’ve been suffering from these types of constricting pains, make an appointment with us today to experience the many benefits of the VibraCussor.